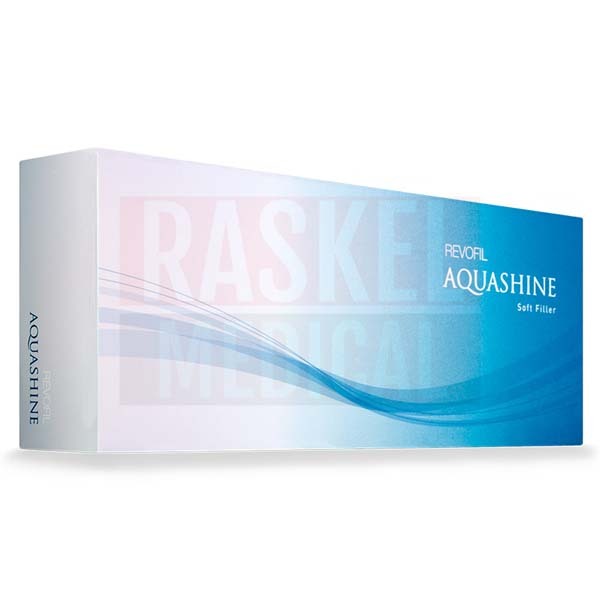 Revofil Aquashine Soft Filler is a transparent and sterile gel dermal injection from the Revofil Aquashine product range of skin revitalization treatments. This facial filler aims to rehydrate the skin on a deep level using a specially designed formula of bioactive ingredients. Patients suffering from dry, weathered skin will notice an increase in firmness, hydration, and overall radiance after receiving these treatments. Using a combination of hyaluronic acid, 4 peptides, 24 amino acids, 15 vitamins, and 8 minerals coenzymes, this skin filler adds nutrients back into the dermis that have been lost due to the effects of aging or other harmful external factors such as sun exposure, smoking, and pollution. Upon injection, the implant reintroduces these vital substances, resulting in increased hydration and improved cell function and skin renewal and repairing processes. With these vital nutrients reintroduced, the skin becomes plumper, helping to erase fine lines and tighten pores. Injection can be administered into the skin of the face, neck, and decolletage. 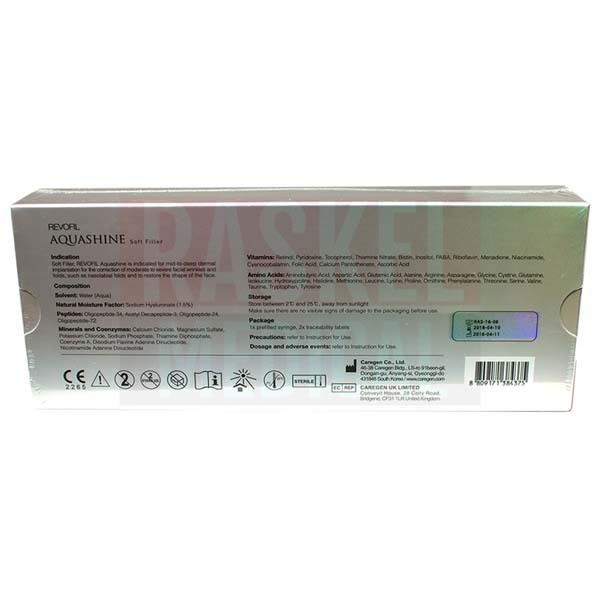 Revofil Aquashine Soft Filler is manufactured in Europe and distributed by Caregen. The hyaluronic acid contained in this dermal injection is of non-animal origin and is produced in a laboratory. When can this product cause side effects? Revofil Aquashine Soft Filler is a safe, minimally-invasive treatment to solve many skin concerns associated with aging. However, there are some mild temporary side effects that may occur after injection. These reactions, which may include pain, tenderness, swelling, and redness at treatment site, will likely appear immediately following or shortly after injection, and will resolve themselves without intervention with a few days. Your patients should contact you if any side effects become prolonged. This may not be all of the possible side effects. Refer to the product pamphlet. The gel is provided in a sterile, single-use syringe. 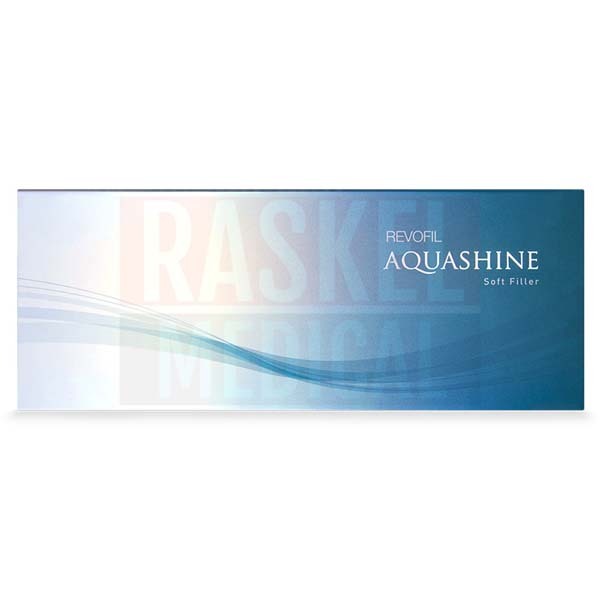 Inject Revofil Aquashine Soft Filler into the skin of the face, neck, or decolletage. Inject the gel into the superficial to mid dermis layer using a sterilized 32G needle. A serial puncture, linear threading, serial threading, or cross-hatching technique may be suitable injection techniques. Avoid injecting the gel too superficially. After the implant has been injected, massage the treated area to ensure even distribution. Administer the dermal injections over three treatment sessions at 4-week intervals. If a patient has more advanced signs of aging and skin damage, you may administer treatments in 6 sessions at 2-week intervals. For complete use instructions, refer to the manufacturer’s product leaflet. Revofil Aquashine Soft Filler is composed of: hyaluronic acid (15 mg/ml); a mineral and coenzyme complex containing calcium chloride, magnesium sulfate, potassium chloride, sodium phosphate, thiamine diphosphate, coenzyme A, disodium flavin adenine dinucleotide, and nicotinamide adenine dinucleotide; a vitamin complex of retinol, pyridoxine, tocopherol, thiamine nitrate, biotin, inositol, PABA, riboflavin, menadione, niacinamide, cyanocobalamin, folic acid, calcium pantothenate, and ascorbic acid; peptides such as oligopeptide-34, acetyl decapeptide-3, oligopeptide-24, oligopeptide-72, oligopeptide-34, oligopeptide-51, decapeptide-23, and oligopeptide-72; and the amino acids aminobutyric acid, aspartic acid, glutamic acid, alanine, arginine, asparagine, glycine, cystine, glutamine, isoleucine, hydroxyproline, histidine, methionine, leucine, lysine, proline, ornithine, phenylalanine, threonine, serine, valine, taurine, tryptophan, and tyrosine. Like all cosmetic fillers, the effects of treatment will vary by patient. The duration of the results will depend on many factors, including the patient’s age and lifestyle, as well as the injection technique used, the area treated, and the condition of the skin. On average, patients can expect results to last 4 to 6 months, and may opt to receive treatment 2 to 3 times a year in order to maintain desired results. In order for your patients to achieve optimal results, ensure that you conduct a complete treatment course, consisting of 3 injections sessions spaced 4 weeks apart. 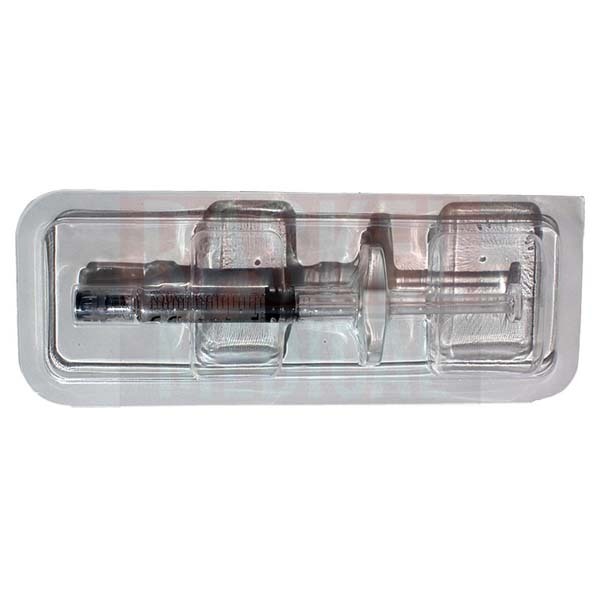 Revofil Aquashine Soft Filler comes in sterile packaging and should be handled with care. Keep the package away from sunlight to avoid the premature degradation of the key ingredients in a dry area with a temperature between 2°C and 25°C. Prior to use, check the packaging to ensure there has been no tampering. The expected shelf life of this product is two years. Always check the expiration date on the product label prior to use. Do not use if the filler has passed its expiration date.